Clear the Air says: excise taxation works. Duty paid sales were down 22.7% on last year’s equivalent sales after the new tax came into being on 25th February 2009. The figures produced by this self interest group of merchants selling the only legal consumer product that kills when used as directed by its makers, just do not add up. Hong Kong permits the duty free import of just 60 cigarettes per person and they must have been out of Hong Kong for more than 24 hours to be able to bring in more. That means the moles need somewhere to stay or pay to stay across the border for more than 24 hours which makes mass import unfeasible. If a mole was to make the trips every 24.1 hours throughout the year without rest or holiday he/she could theoretically carry in 363 x 60 sticks or 21,780 sticks per year. Tobacco Control Office should demand and publish the figures claimed by this organisation, not erroneous percentages. The Laws of Hong Kong Cap 371 Sec 15A forbids the giving of tobacco products in exchange for a token – in the case quoted above the Association admits to giving ‘genuine’ tobacco products to surveyed persons in exchange for their existing cigarette packet which in this case would be a ‘token’ under 3 a) below. The attempt to switch these persons to the Association’s products could also be construed an offence under 3c) below. We request TCO take action against this Association. 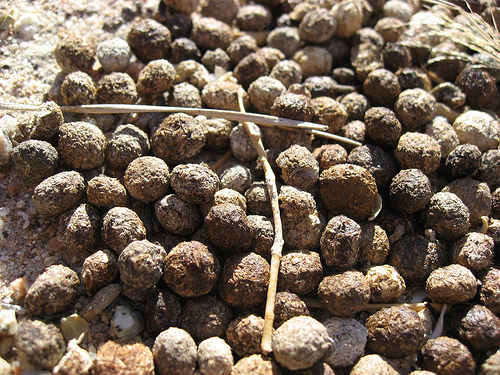 Rabbit droppings can be the materials of fake cigarettes. More than $2 million worth of counterfeit cigarettes filled with rabbit droppings have been confiscated by customs officials in Spain. 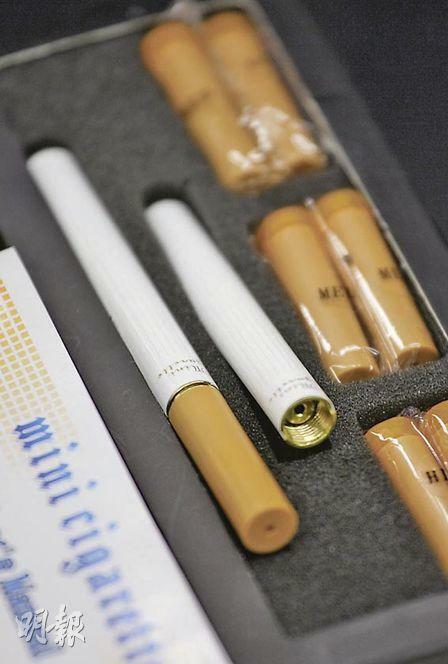 The fake cigarettes were due to be sold on the black market as famous brands. Police and customs staff arrested 12 smugglers in an undercover operation to intercept the cigarettes as they landed on a boat from China. “They not only smell bad but the toxic chemicals they give off are pure poison,” explained a customs official. Most counties and cities do not have their own cigarette tax rates, but there are major exceptions. More than 460 local jurisdictions have their own cigarette tax rates, bringing in more than half a billion dollars in annual revenue and working effectively to reduce smoking rates, especially among youth. The following are the highest cigarette tax jurisdictions taking all state and local cigarette taxes into consideration. These combined cigarette tax rates do not include the federal cigarette tax ($1.01 per pack) or any state or local sales taxes that apply to cigarettes. U.S. Centers for Disease Control & Prevention estimates show that total smoking-caused health costs and lost productivity totals more than $10.28 per pack nationwide. The average state cigarette tax is now $1.34 per pack. New York City is the only locality with its own cigarette tax in New York State. Anchorage’s and Matanuska-Susitna Borough’s cigarette tax rates are annually adjusted for inflation; Fairbanks’ tax is actually 8 percent of wholesale price (about 20¢ per pack). Currently, no other unlisted Alaska or Ohio localities have their own tax. Alabama (42.5¢ per pack) has 240 cities and 46 counties with their own low cigarette taxes; Missouri (17¢) has 120 cities and 2 counties; Tennessee (20¢ per pack) has one city; and Virginia (30¢), has 50 cities and 2 counties with local tax rates ranging from two to 70¢, with the highest combined rate of $1.05 per pack in Falls Church, VA. Because of the low cigarette tax rates in these states, their highest state-plus-local rates are still lower than many other states’ cigarette taxes. Some states prohibit local cigarette tax rates or limit the maximum amounts. Secondhand smoke, also known as environmental tobacco smoke, is a complex mixture made up of particles and gases and includes smoke from burning cigarettes, cigars, and pipe tobacco (sidestream smoke) and exhaled mainstream smoke. This includes aged smoke that lingers after smoking ceases. 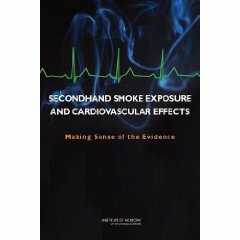 Data suggest that exposure to secondhand smoke can result in heart disease in nonsmoking adults. Progress has been made recently in reducing involuntary exposure to secondhand smoke in workplaces, restaurants, and other public places in the United States and abroad, often through legislation that bans smoking. The effect of legislation to ban smoking in public places and workplaces on cardiovascular health of nonsmoking adults, however, remains a question. Tobacco tax in Hong Kong is now HK$ 24 (£1.86) per pack of 20 cigarettes representing approximately 64% of average local pack retail price of around HK$ 37. Hong Kong is a first world country. If we compare Ireland’s tax on cigarettes (HK$ 79.6) and average pack retail price (HK$100.4) it shows clearly how far behind the developed world Hong Kong is, tobacco control wise. Our tobacco tax / retail price tax incidence ratio is even lower than Lithuania. Of course in western nations as well as tobacco tax they also have other sales taxes / VAT on top of retail tobacco prices. · The WHO and World bank data shows that for every tobacco tax increase of 10% there is a corresponding decrease in duty paid sales of at least 4%. After the 50% tax rise in Hong Kong in February 2009, the local duty paid sales of cigarettes has dropped (as of this month ) by almost 23%, thus confirming the WHO and World Bank data. · The Financial Secretary must heed his words of February 2009 and for ‘public health reasons’ he must continue to increase tobacco tax to prevent our youth from being able to start on the death road , to alleviate the costs on public health treatment of tobacco related diseases and for the well being of the community. It is time to match the 1st world tobacco taxation levels and save lives. Tobacco smoke is involved in uncontrolled asthma, a diminished response to anti-asthma drugs, rhinitis, nasal obstruction, and deregulation of the immune system according to an international expert at the annual meeting of the American College of Allergy, Asthma and Immunology (ACAAI) in Miami Beach, Fla.
Tobacco smoking has been mainly associated with chronic obstructive pulmonary disease (COPD), and is attributed to being one of the main reasons that COPD disease is the fourth leading cause of death in the United States. According to Dr. Baena-Cagnani, active smoking also causes changes in inflammation in asthma patients, diminishes their response to anti-asthma drugs, and has been found to induce nasal obstruction and decreased mucociliary clearance. 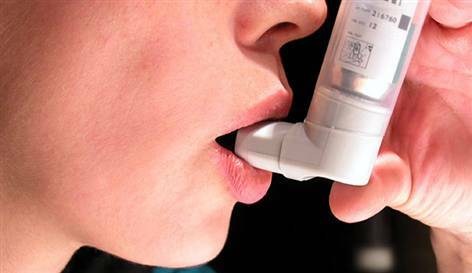 According to the latest World Health Organization statistics, currently 300 million people have asthma, and 210 million people have COPD, while millions have allergic rhinitis and other often under-diagnosed chronic respiratory diseases, Dr. Baena-Cagnani said. “The impact of tobacco smoking is huge, with over one billion people exposed to unhealthy air in which tobacco smoking plays a major role,” he said. Current statistics show that approximately 20 percent of U.S. adults are smokers, and more than half of them have the desire to quit according to a “Smoking Cessation Toolbox for Allergists” recently published in Annals of Allergy, Asthma & Immunology, ACAAI’s scientific journal. Surveys indicate that a physician’s advice to quit is an important motivator to quit smoking. “Screening, providing brief counseling, and prescribing first-line smoking cessation medications will help the United States get closer to achieving the national goal laid out in Healthy People 2010 of smoking rates of 12 percent or less” the investigators report. “Allergists are aware of the significant impact that tobacco addiction has on our patients, and we are committed to initiating and reinforcing smoking cessation as part of our treatment plan,” said Richard G. Gower, M.D., an allergist/immunologist at Marycliff Allergy Specialists in Spokane, Wash., and president of ACAAI. An allergist, an expert in the diagnosis and treatment of allergies and asthma, can perform allergy testing to identify the specific substances that trigger allergic reactions and determine the most appropriate and effective treatment. 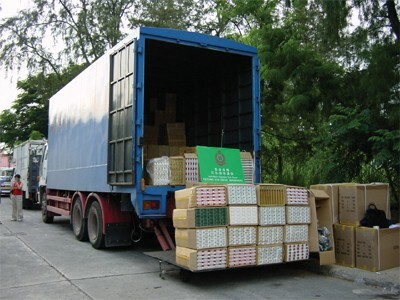 China introduce new technology to tackle cigarette smuggling. A HIGH-powered scanner costing €1.48m has been ordered by the Government from China as part of its efforts to clampdown on cigarette smugglers. The mobile scanner, ordered in advance of the recent record haul in Dundalk, Co Louth, has now arrived and will become fully operational in January. The scanner uses high-energy x-rays to generate an image of a full container or trailer at ports. A similar scanner is already in place but the new system from Nuctech is considered more advanced by the Revenue Commissioners. Earlier this month, nine people were arrested after a ship containing 120 million cigarettes worth €50m was seized in Co Louth, following a massive surveillance operation. The haul, with a potential revenue loss of €40m, was destined for the Irish and UK markets. It is regarded as the biggest seizure of its type in Europe and described as organised crime on a global scale. the contraband was uncovered after a chartered ship arrived at Greenore Port. Those who sell illegal cigarettes should face increased fines of at least €10,000 as the State is haemorrhaging around €500m a year in lost revenue because of cigarette smuggling, according to Fine Gael justice spokesperson Charlie Flanagan TD. The frontbench spokesman last night claimed the average penalty of €423 for trading in illegal cigarettes is “farcical and does not act as a deterrent”. A mandatory fine of €10,000 would be more appropriate, he argued. “The supply chain that sees illegal cigarettes hitting our streets at knock-down prices must be broken. The current fine of €423 for dealing in illegal cigarettes is a useless deterrent,” he said. Ireland‘s criminal gangs are being sustained by a combination of cigarette and drug smuggling, he said. An estimated 20pc of cigarettes bought in Ireland are purchased on the black market. Last year, the authorities impounded some 134 million cigarettes but estimates suggest that 826 million cigarettes go undetected annually. What is mean by "indoor area" in somking ban? The city’s highest court will hear an appeal from the government over a ruling on the definition of an indoor area under the smoking-ban legislation. The government is seeking an interpretation from the Court of Final Appeal on the question of what constitutes an indoor area under the Smoking (Public Health) Ordinance. Giving his judgment yesterday, Mr Justice Louis Tong Po-sun of the Court of First Instance certified that the question arising from his earlier judgment could be argued in the top court. Last month, Tong held in the case of Ho Yau-yin that the smoking restriction only applied to an area that was completely enclosed, thereby defining the meaning of “indoor”. However, his ruling has upset the prosecution of 178 cases. Ho, a hawker-control officer, was convicted by a magistrate of holding a lit cigarette in a designated no-smoking area – the extension of Fu Kee cafeteria in Sham Tseng, an area that was enclosed by plastic curtaining but outside the main body of the business. Quashing the conviction on the grounds of insufficient evidence, Tong made his controversial ruling regarding the definition of an indoor area, saying that such an area should be enclosed on all sides. Applying to take the case to the Court of Final Appeal, senior assistant director of public prosecutions Patrick Cheung Wai-sun contended that an indoor area could be a space not enclosed on all sides but one with more than half of its total area enclosed. He had told the court that the legislative intent was that a premises enclosed on three sides should be covered in the definition of “indoor” in the ordinance, and the different interpretation used by Tong in his earlier judgment would affect the prosecution of many similar cases. Cheung said the issue was of great importance, noting that he would not seek to overturn the result of the appeal. According to the ordinance, an indoor area is one that is “enclosed, whether temporarily or permanently, at least up to 50 per cent of the total area on all sides, except for any window or door, or any closeable opening that functions as a window or door”. Meanwhile, the Department of Health has indicated that tobacco-control officers would continue to prosecute offenders under the law but would take into account Tong’s ruling. GUANGZHOU, China – October 28, 2009 – The 16th Asian Games (www.gz2010.cn/en), part of the worldwide Olympic movement and governed by the Olympic Council of Asia (OCA) will be “going smokeless” with firm prohibitions on the sale of tobacco products and tobacco sponsorship of the Games. The Asian Games are the second largest sports event in the world after the Summer Olympic Games. 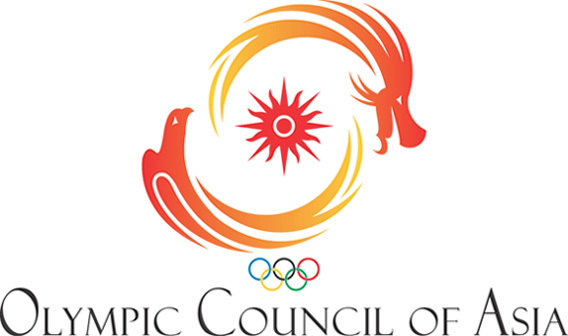 Governed by the Olympic Council of Asia, The 16th Asian Games follows all mandates of the International Olympic Committee in which Games’ organizers are prohibited from accepting sponsorship of the Games by tobacco manufactures nor allowing the sale of cigarettes or tobacco products at any athletic venue. “Preparations of smoking control for The 16th Asian Games are in full swing in the host city of Guangzhou” said Mr. Hu Bingjie, Deputy Director of the Medical Services Department of the Guangzhou Asian Games Organizing Committee (GAGOC) and Mr. Zhao Hong, Director of the Office of the Guangzhou Patriotic Health Campaign Committee (GPHCC). In accordance with Framework Convention on Tobacco Control of the World Health Organization (WHO) and Guangzhou 2010 Asian Games City Action & Games-time Operation Plan issued by the General Office of Guangzhou Municipal Government, the Medical Services Department of GAGOC and the Office of the GPHCC have formulated General Policies on Smoking Control at Venues of The 16th Asian Games and Smoking Control Plan of Guangzhou for the 2010 Asian Games respectively, specifying tasks of Games-time smoking control at venues and across the city, which marks the work of smoking control for the Games has officially kicked off. 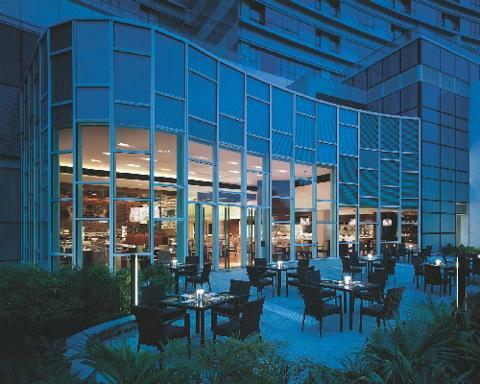 In addition, smoke-free rooms or floors will be set up at The Garden Hotel, the Headquarters Hotel of The 16th Asian Games, as well as all Official Hotels and Designated Hotels of the Games. Guangzhou’s efforts on smoking controls are aimed at creating a safe, clean and healthy environment for the upcoming Asian Games. 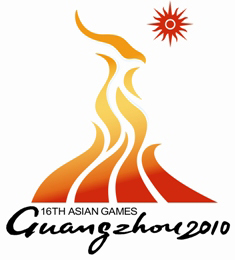 The 16th Asian Games (www.gz2010.cn/en) is approved and governed by the Olympic Council of Asia and will be held in “Flower City” of Guangzhou from November 12 – 27, 2010. More than 14,000 athletes, trainers and coaches from 45 countries and regions will compete in 42 sports. More than 10,000 accredited and non-accredited worldwide media are anticipated to cover the Games with more than three million spectators expected to attend. As the Food and Drug Administration has recently been given authority over the tobacco industry, the move by Philip Morris could be a carefully calculated move to gain controlling interest over the products inside the United States and abroad. The motives of the company are unclear at this point, but speculations include everything from wanting to shut the industry down by acquiring the rights to it all the way to possibly launching its own e-cigarette product and taking it mainstream. Ruyan Group’s stock trading was suspended on November 2nd pending an announcement on a price sensitive matter. This could be related to a sudden 20% jump in the company’s stock price. But, that isn’t the first time Ruyan Group’s stock has soared. Back in June, the stock rose over 35% after the announcement that the Company was negotiating with what Quamnet called an “independent third party”. Shortly afterward on July 6th, that third party became known to be Philip Morris. In related news, Ruyan Group also sold their office properties for HK$28.57 million to an undisclosed buyer on October 23rd. What this could mean for the e-cigarette industry both in the United States and internationally is uncertain, but what’s clear is this: Philip Morris wants in.